Located close to the town centre and sea Front, proprietors Shaun and Renate Davie who run this B&B in Falmouth, look forward to spoiling you with care and courtesy. Accommodation in either of the ten individually decorated rooms all with ensuite bathrooms offer a relaxed environment. With superb views towards Falmouth harbour and town. All rooms have comfortable pocket sprung mattresses, Egyptian cotton bedding and luxury cotton towels consequently ensuring you a comfortable nights sleep. The guest house is licensed and carries a small selection of wines, beers and spirits. Also most noteworthy for a Bed and Breakfast in Falmouth, is a private car park. Beach and town centre are just five to ten minutes walk away. Especially relevant these days is free to use superfast WiFi being available throughout the house. Relatively central to the majority of what Cornwall has to offer. Further more Falmouth town is steeped in maritime history, with the Maritime Museum to a lovely blue flag beach at Gyllyngvase. Plenty of eclectic family owned shops throughout the town. Henry VIII’s castles at Pendennis and St.Mawes preside at the mouth of the harbour and are visible from the town. They are among the finest examples of their kind. Around the town over 30 superb restaurants spoil you for choice. The Cornish ‘cuisine’ stretches from hearty traditional pub food to more modern seaside bistros. Exquisite restaurants utilising local produce from the sea and land and as a result something here for everybody’s taste. For the green fingered, you can explore the many beautiful sub tropical gardens in Cornwall. 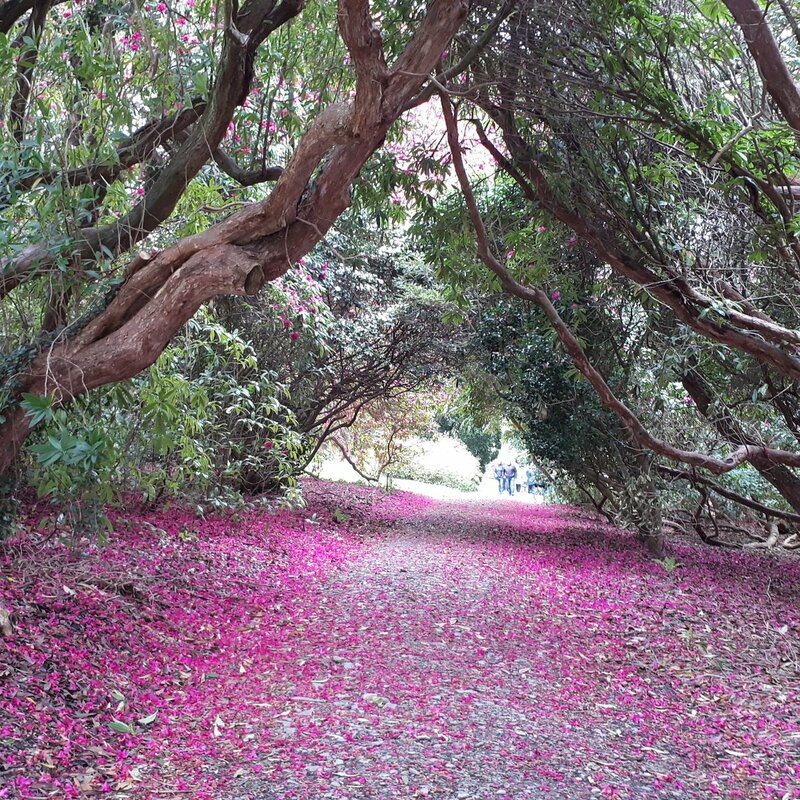 The beautiful plants and flowers within the gardens are due to our Gulf Stream induced climate which helped the Victorians establish many of them. 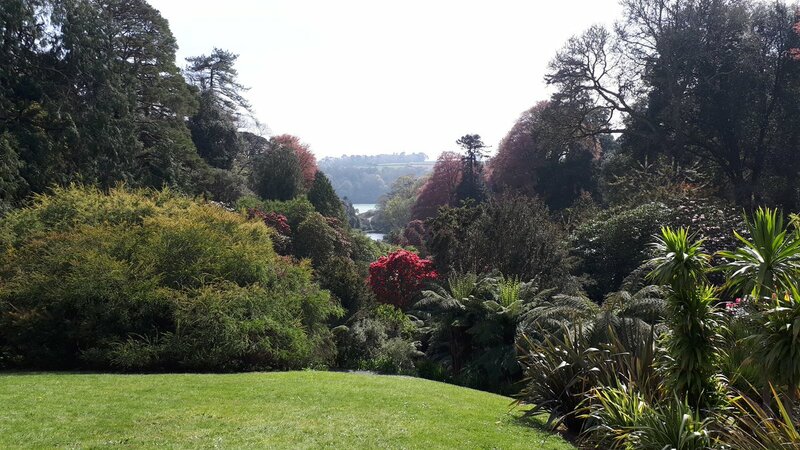 Many of the great Cornish gardens are within a 20 minute drive from Falmouth; Trebah and Glendurgan Garden, Trelissick and just 400 metres away there is Fox Rosehill and Queen Mary Gardens . we look forward to meeting you soon. Always glad to help you with any questions. Close to town centre & beaches we offer welcoming English & German hospitality. Ten individually decorated luxury rooms set in our historical Victorian House. Such as, book a week and get one night free of charge. Shaun and Renate Davie would very much welcome you to our Victorian house, situated close to the centre of Falmouth where you will find, shops, restaurants, museums and beaches all within a 10 minute walk. All our rooms are individually decorated to a very high standard. Many rooms have distant sea or harbour view and all are ensuite with baths and/or showers, with central heating, tea/coffee making facilities, mineral water, flat screen digital TV's, radios etc. Our superior rooms offer larger beds. Access to our house does require four steps to the entrance, but we do have a twin and single rooms on the ground floor. We have a licensed bar and public lounge, private parking and Wifi internet connection. Our daily prices start from £40 per person in the Winter and from £44.00 in the summer, superior rooms are £5.00 extra per person and for those wishing to stay longer we offer every seventh night free of charge. In the Spring we offer discounted rates for three nights or more. Our garden is full of Bluebells and the sun is shining - what more could you wish for? Fantastic day at Heligan today, the flowers are just before their peak and the garden looked magnificent. Splendid day at @Tregothnan, the family seat of the Boscawens, Viscounts of Falmouth. Their century old #Botanicalgarden garden also contains England's only #teaplantation. This function has been disabled for Dolvean House.